P3P Energy Management AE Ltd is a leading supplier of Combined Heat and Power (CHP) energy solutions to the industrial and commercial sector. 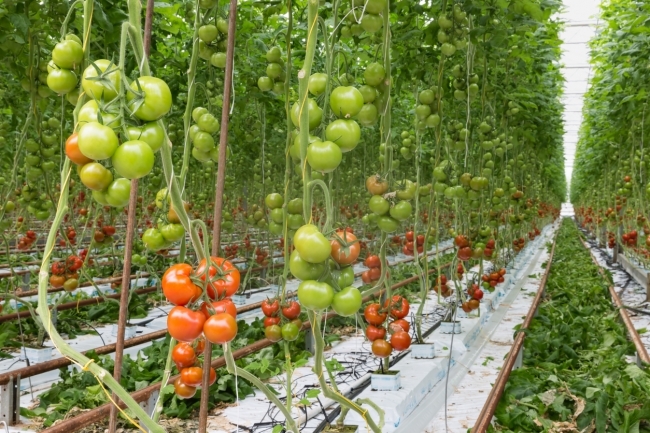 The company operates a 3MW CHP plant for Britain’s largest commercial tomato grower. Electricity is produced by the plant as a by-product of the growing process, which is then exported to the grid, generating revenue for P3P. P3P recognised that by accessing the imbalance market, further revenue could be made from the CHP plant, but needed a way to access this without additional resource or investment. RBR provided a solution to P3P’s challenge, as it gave a new opportunity to access the imbalance market and create new revenue without commitment or risk. Ørsted monitors system imbalance and alerts P3P when there is an opportunity to help balance the system. Responding to the alert, P3P then changes on-site generation by activating the CHP plant remotely at the times needed. Each month, P3P sets its strike prices per MWh of flexibility delivered across each day. This is the minimum price it would accept to provide volume. When P3P responds to an alert, Ørsted guarantees the strike price P3P has set. If the imbalance market closes at a higher price, P3P also takes a share of this. Although RBR is available 24/7/365, P3P can choose when to take part. If the company is unable to participate, it simply doesn’t respond to the alert, and there’s no penalty. This makes RBR entirely risk and commitment free, differentiating it from other National Grid balancing schemes. Through RBR, P3P has earned additional revenue from the CHP plant, which is shown as an adjustment on its monthly invoice from Ørsted. Due to the tomato growers’ requirements for heat and CO2, on average P3P was available to take part for just over half of the 48 settlement periods in a day, over a year. During the times P3P was able to take part, it was able to increase export revenue by an average of 4%, creating an average of £273 of additional revenue per hour. With no additional impact to on-site operations or running costs, P3P has been able to access this revenue without extra investment. National Grid manages the electricity network in real-time to keep it running efficiently and safely. This includes making sure that frequency and voltage are both within acceptable limits. Each day suppliers disclose their anticipated volume for the day ahead. Imbalance occurs when generation does not match the demand. When this happens, National Grid takes action to balance the network by asking generators and consumers to change generation or consumption to counteract the difference. This incurs costs, which are passed on to suppliers. Renewable Balancing Reserve helps businesses unlock the value from the imbalance market. It works by reducing imbalance costs for Ørsted as well as providing a revenue earning opportunity from the System Imbalance Price. The resulting savings/earnings are then shared with participating customers.